How Can a Firm Digitize Construction? But he says he is seeing a change taking place, as construction firms are starting to embrace new technologies and methodologies to bring architecture, engineering and construction (AEC) into the 21st century and increase efficiency. If you’re reading this website right now (I’m assuming you are? ), one of those technologies is building information modeling (BIM). 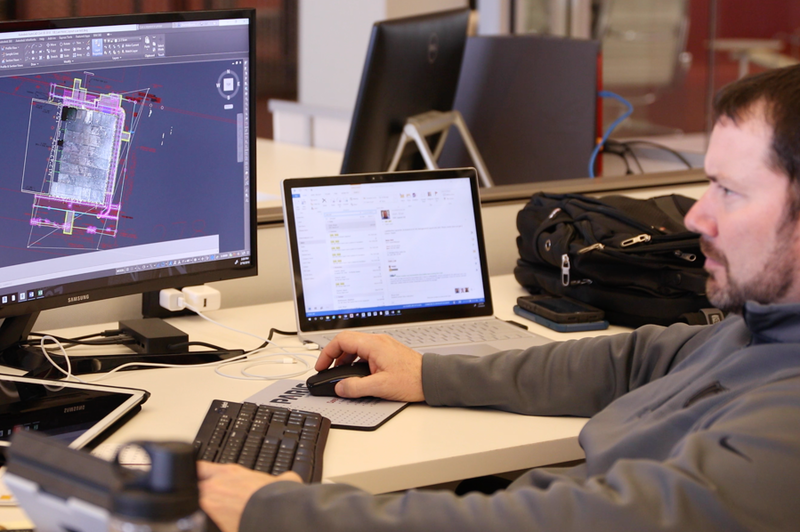 St. Louis–based construction firm PARIC is one of those companies, which adopted BIM and other approaches less than a decade ago and shortly began seeing the benefits. ENGINEERING.com spoke to Andy Leek, director of virtual design and construction (VDC) at PARIC, to understand how a firm like PARIC was able to make the digitization shift. As a commercial construction company, PARIC performs construction management design/build, consulting and general contracting with a focus on vertical projects, such as high rises, hospitals and office buildings. According to Leek, the company has had a progressive and technology-friendly culture since it was founded in 1979. When implementing a given technology, Leek says, PARIC focuses on those developments that are meant to bring greater efficiency to project teams in the office and in the field. When he joined the company six years ago, Leek says that PARIC was more traditional, operating largely on a paper-based workflow, aside from digitized accounting and project management tools. Like most contractors, the firm was using FTP sites to download and share drawings, but BIM wasn’t in use and the cloud was not being fully exploited. “When I came on, we very quickly started performing modeling and clash avoidance sessions for our project teams to the point now all large projects that come through the office all go through BIM coordination,” Leek said. The complete article is currently available here.